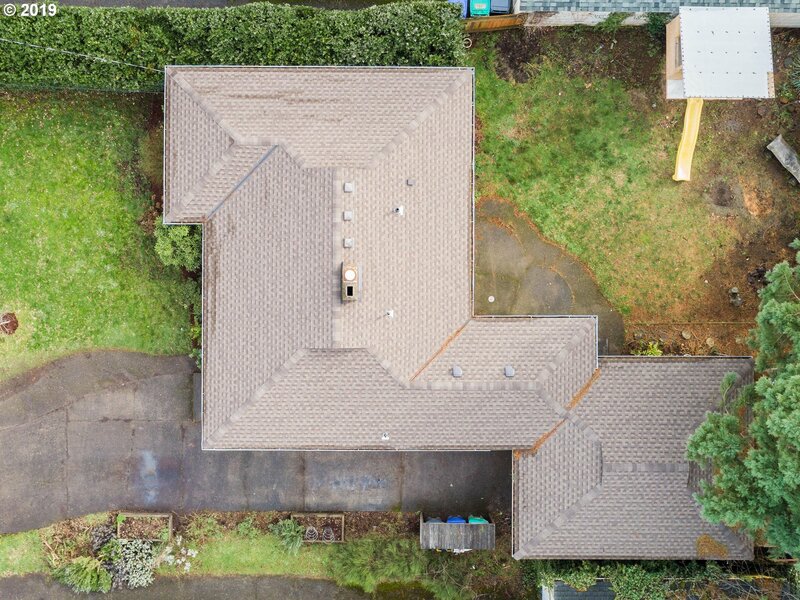 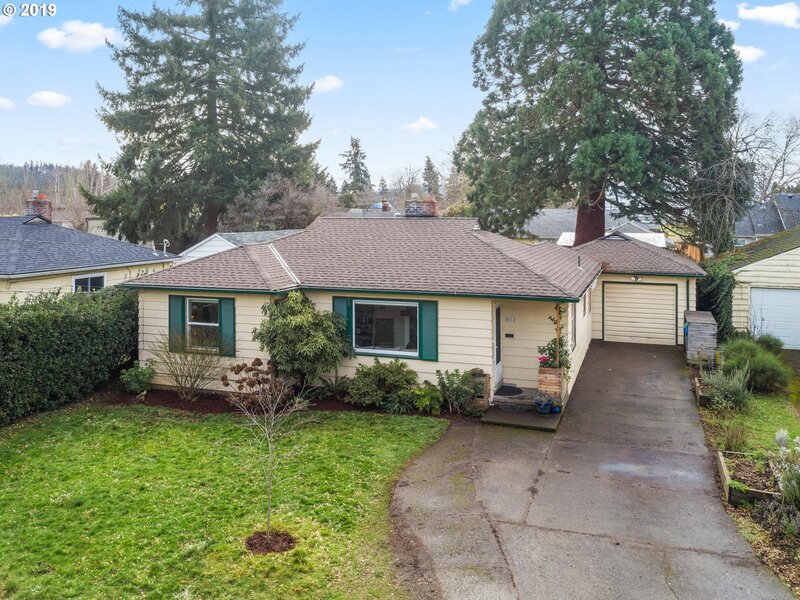 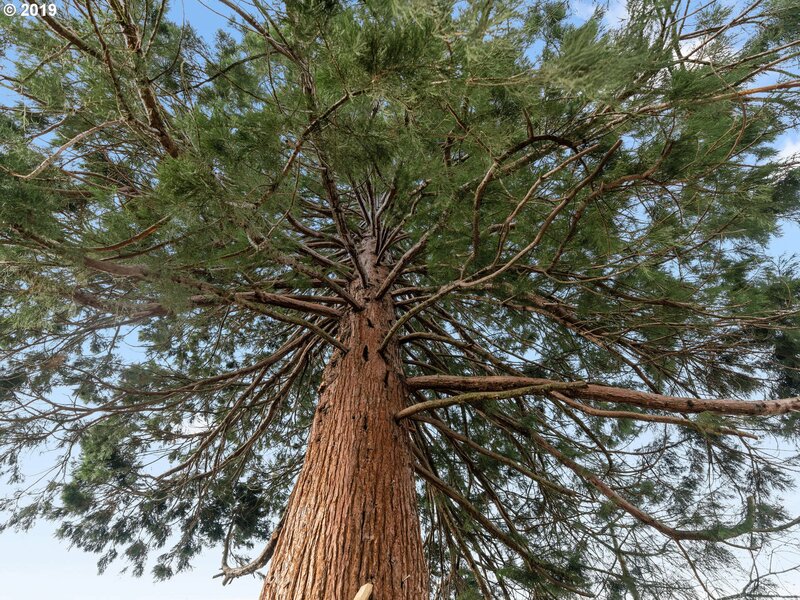 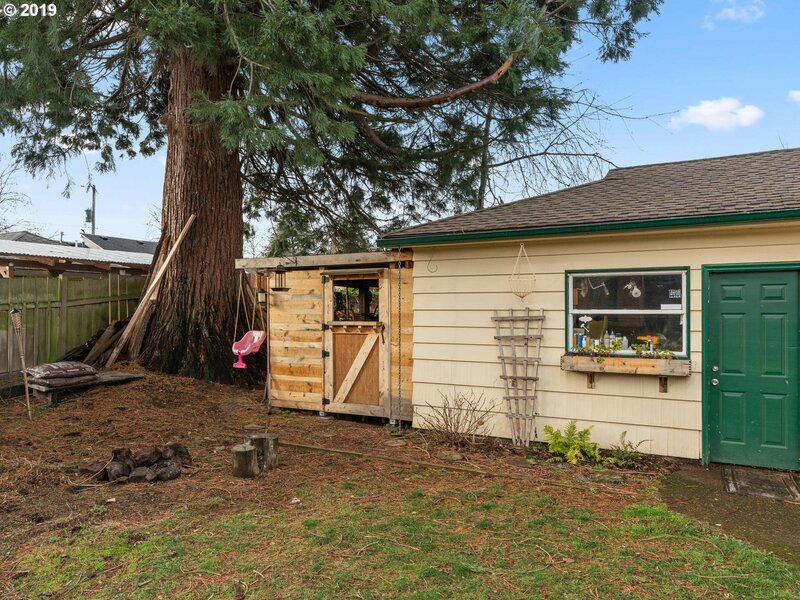 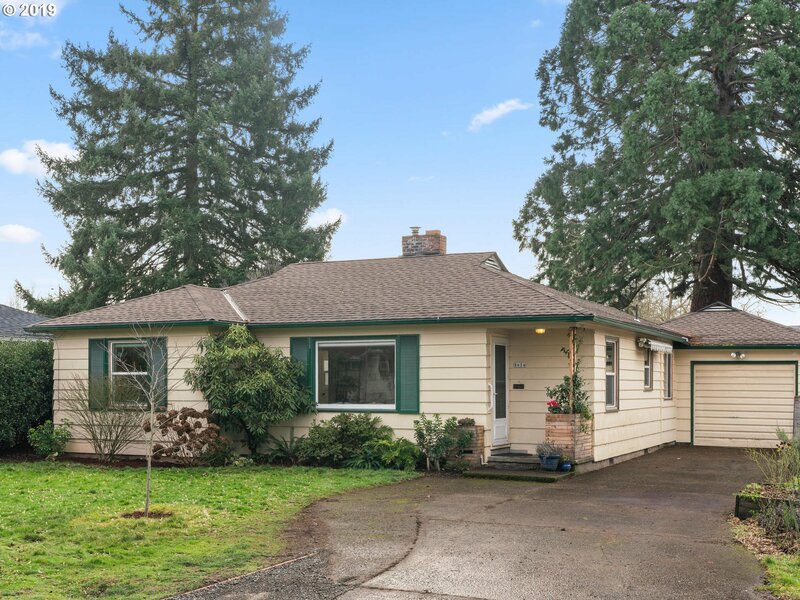 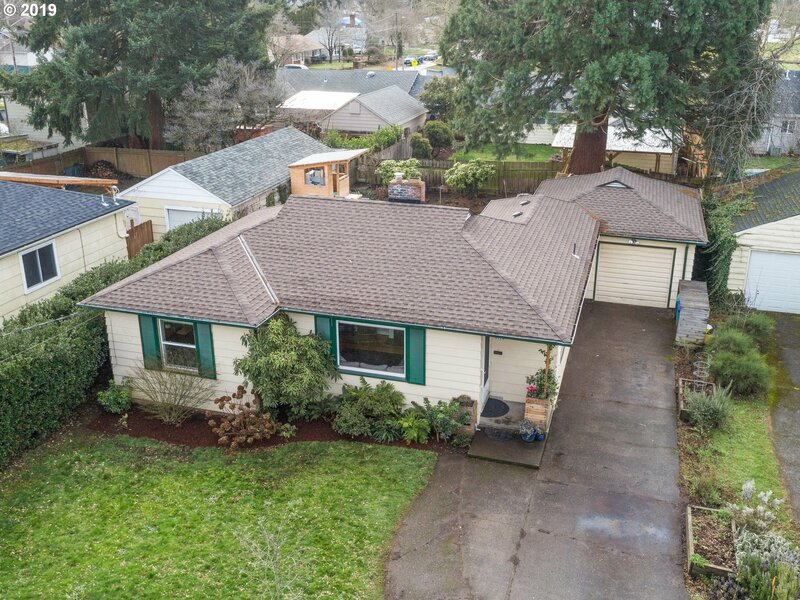 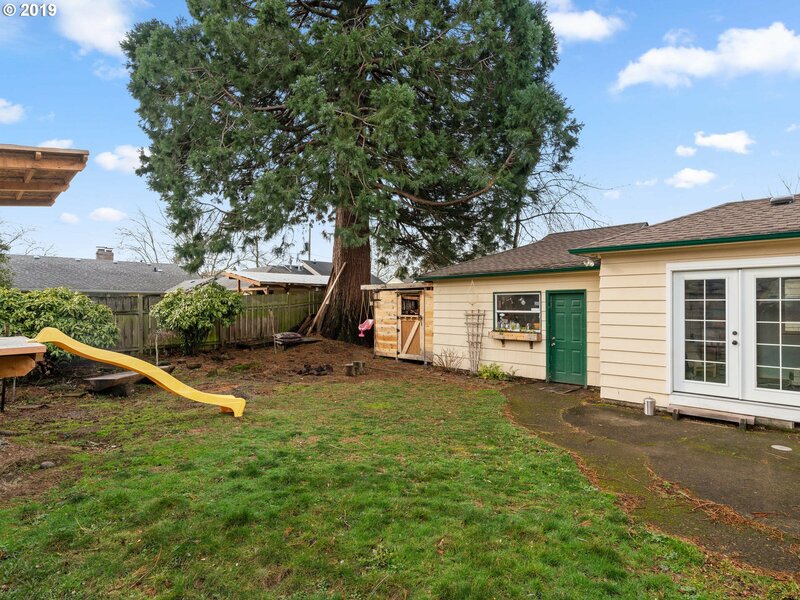 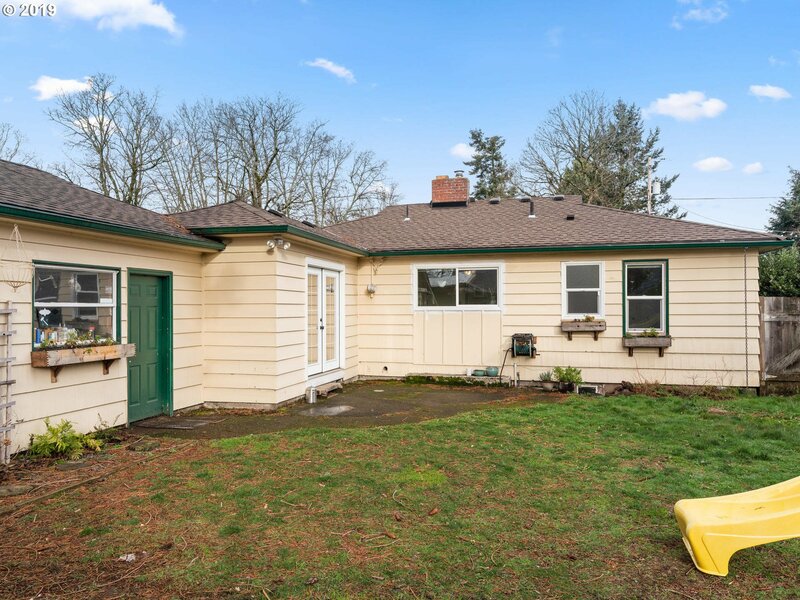 Originally built in 1949, this gorgeous one level ranchalow sits on one of Montavilla’s most beautiful tree-lined streets. 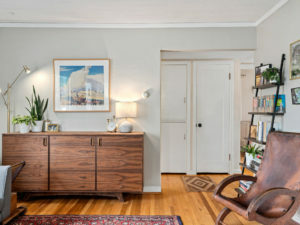 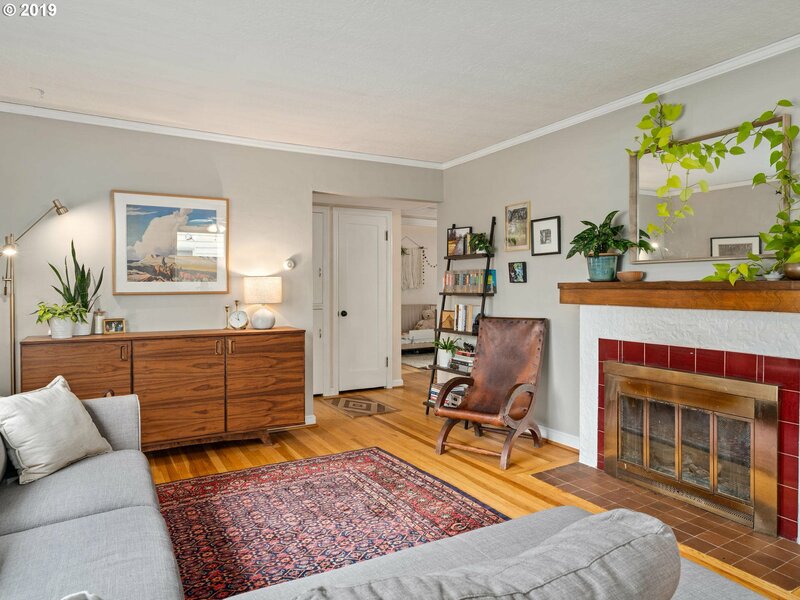 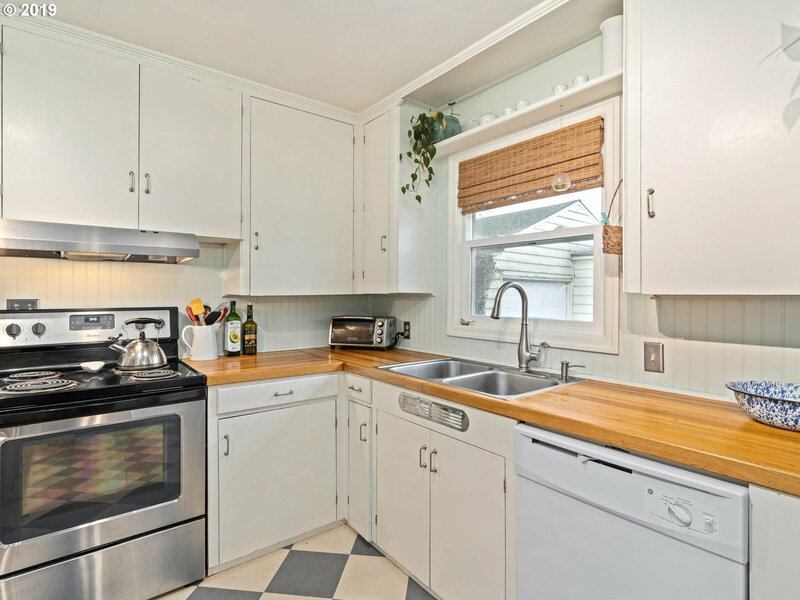 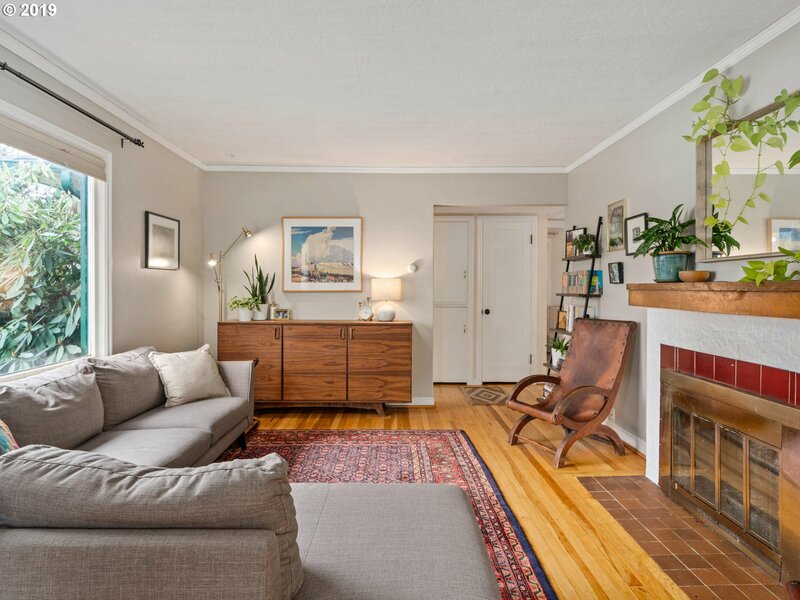 Boasting an incredibly functional floor plan, this mid-century home has three bedrooms on the main floor in addition to a fourth bonus room which can serve as guest quarters, an office or cozy family room. 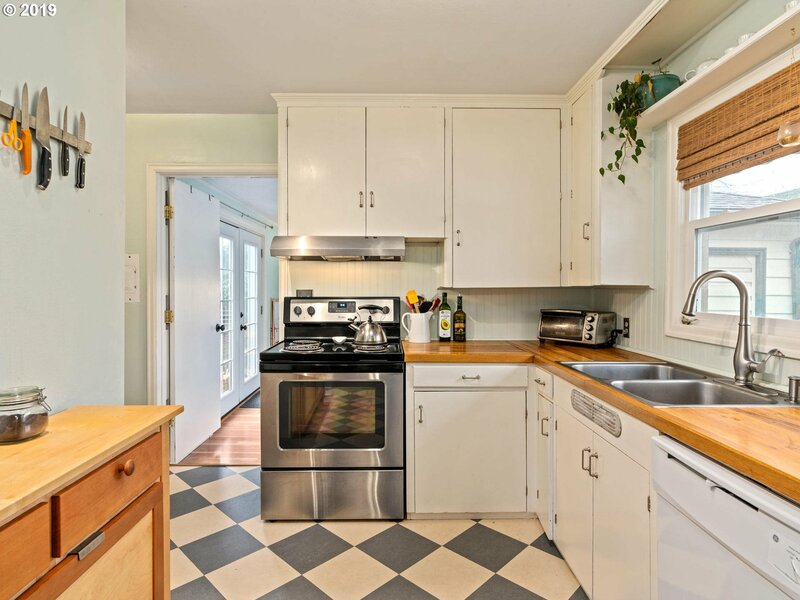 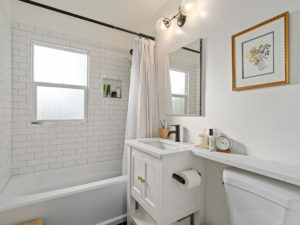 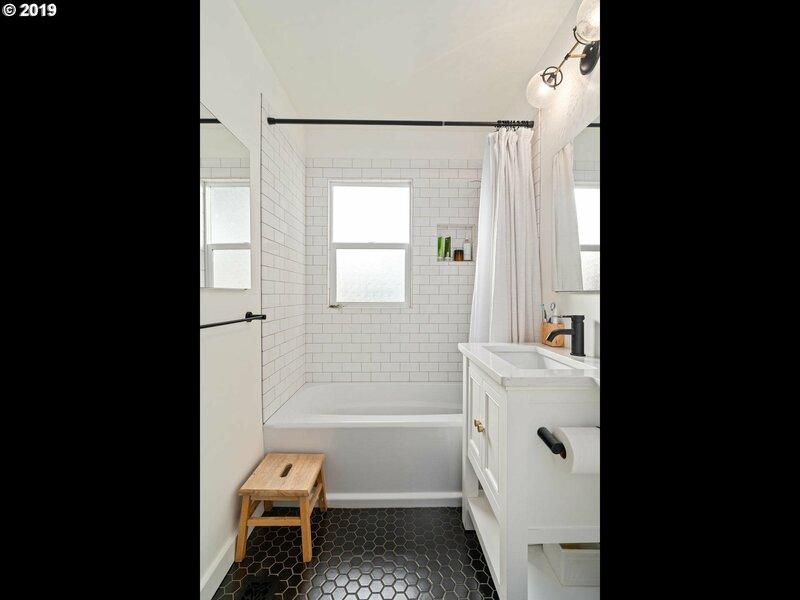 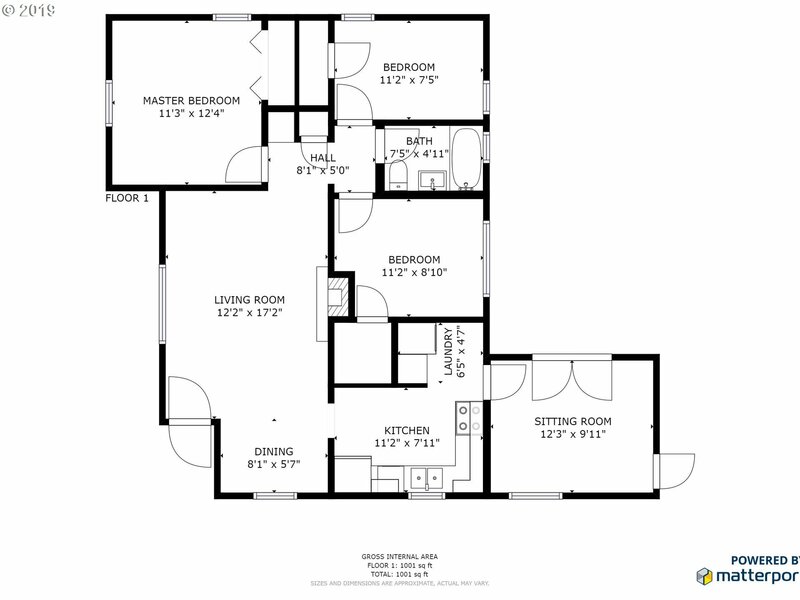 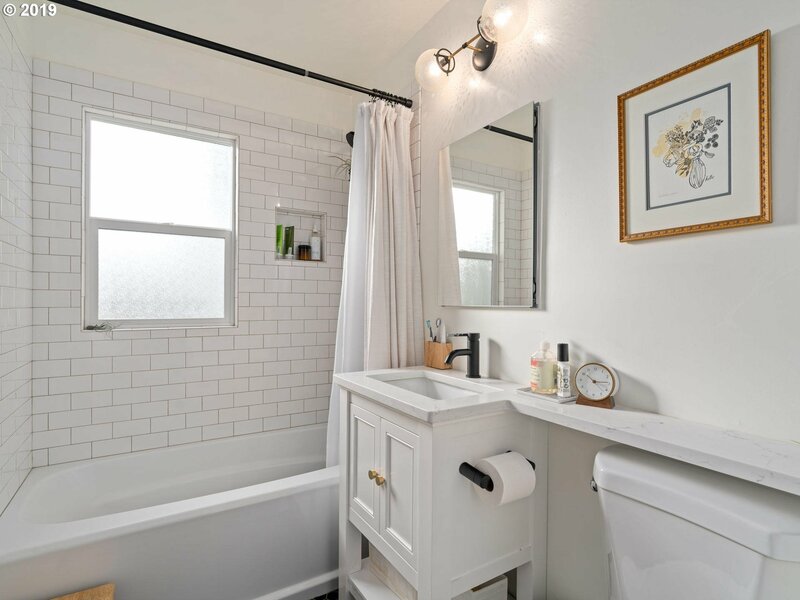 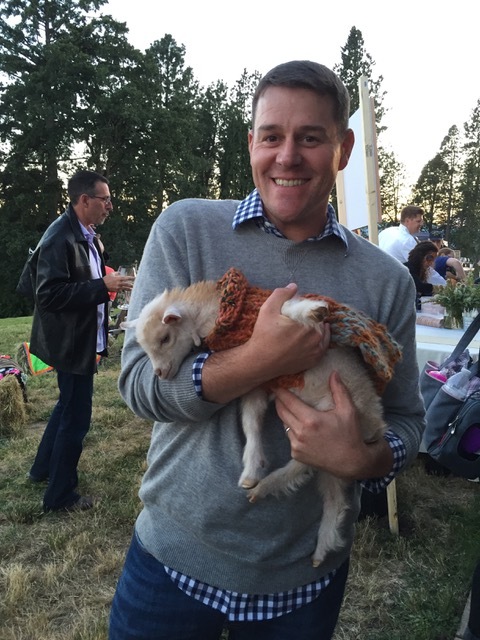 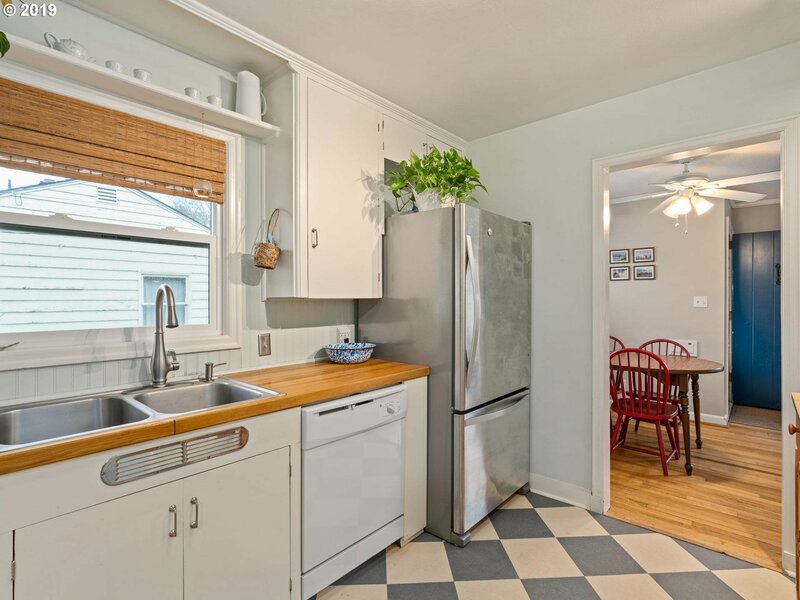 Designer updates include a remodeled kitchen with butcher block counters, custom built-ins, checkerboard Marmoleum flooring and newer appliances in addition to a stunning bathroom remodel complete with hex and subway tiling and a custom vanity with quartz countertop. 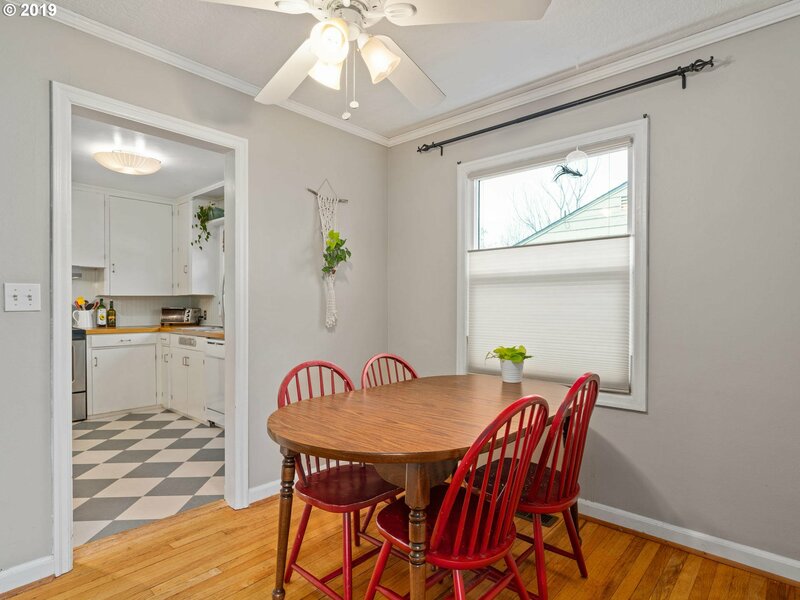 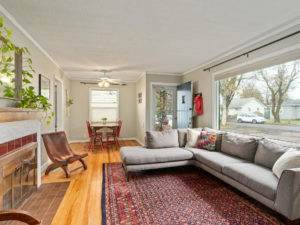 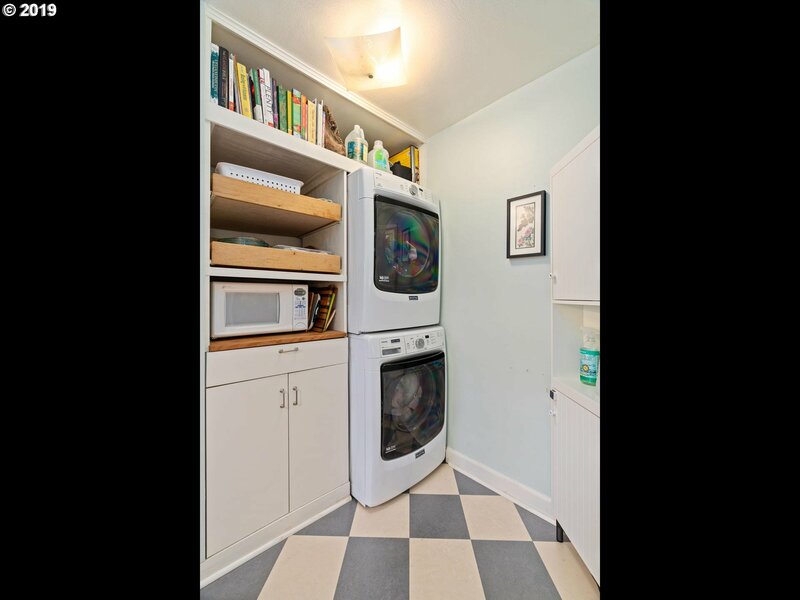 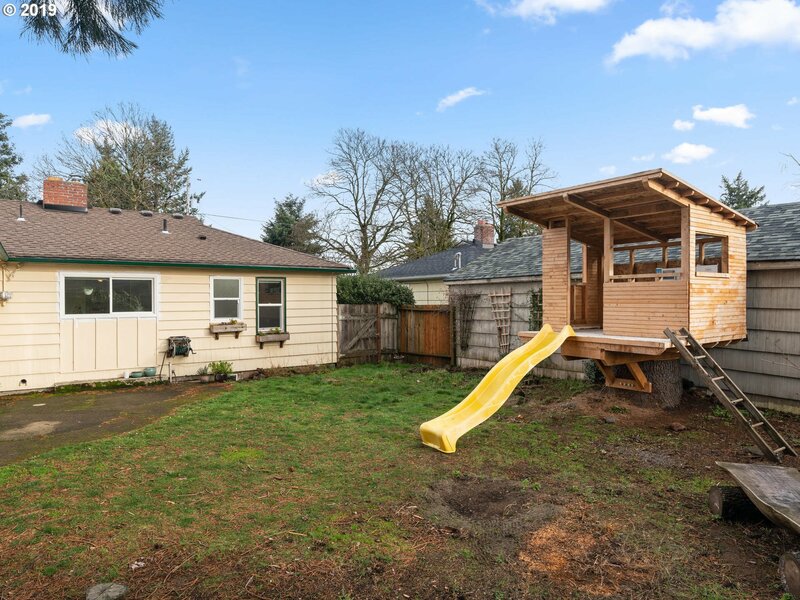 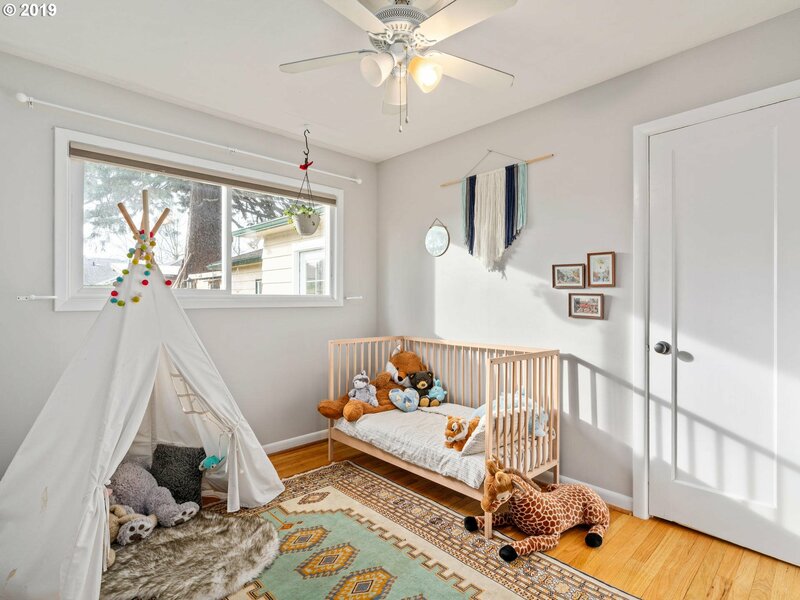 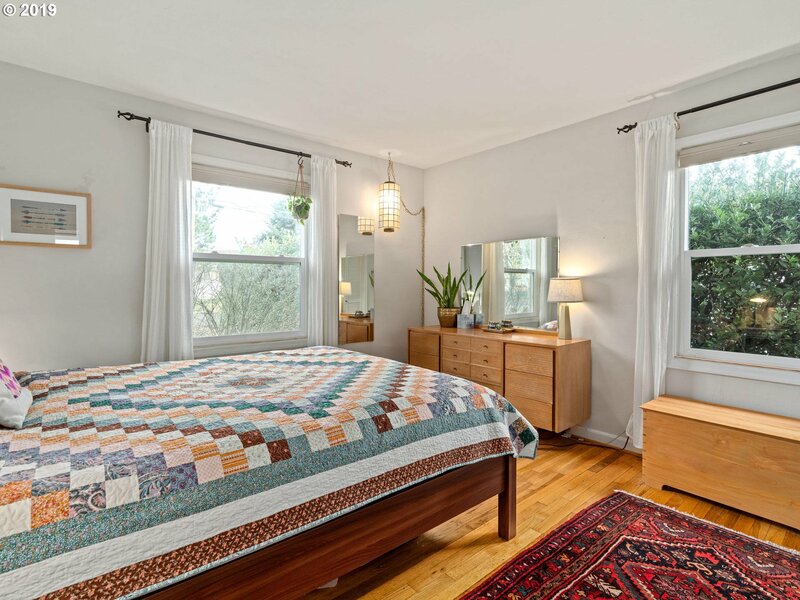 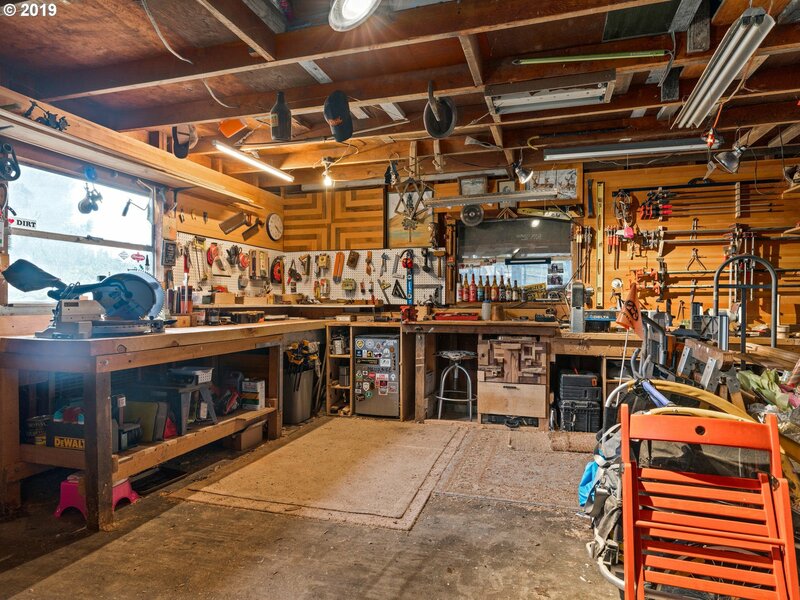 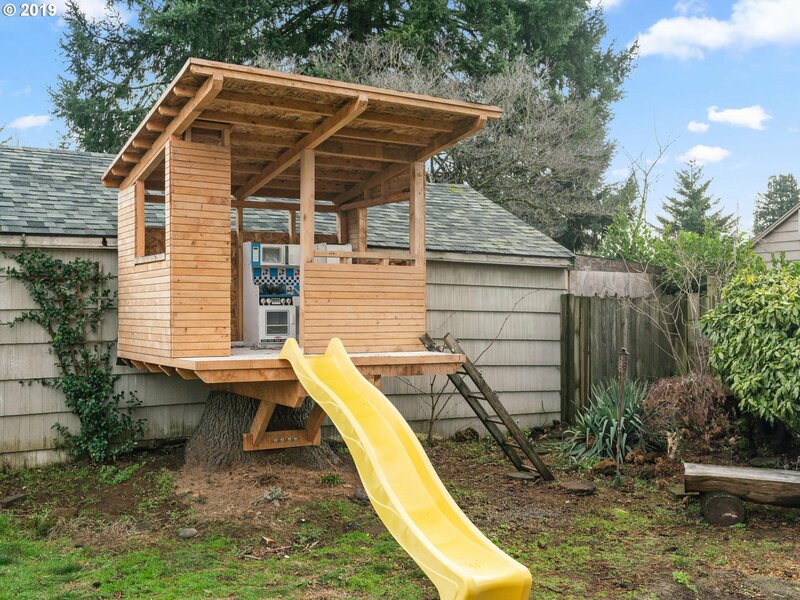 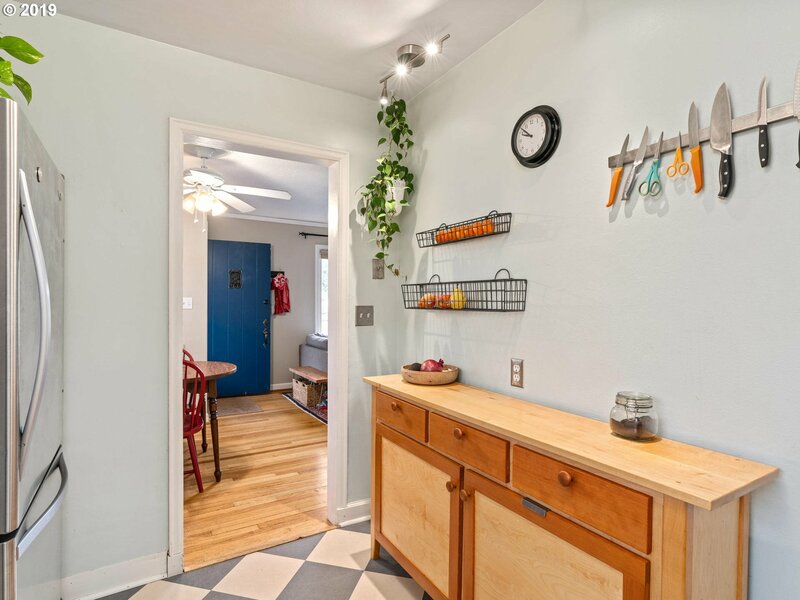 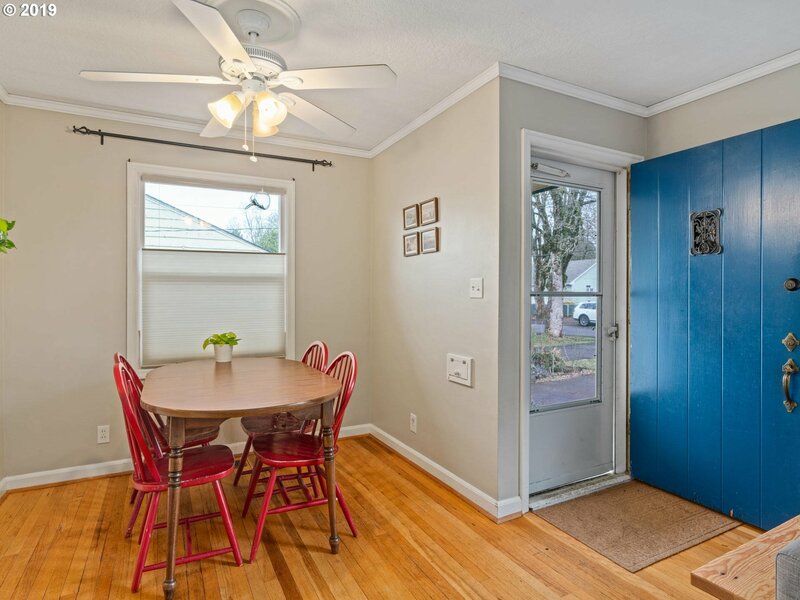 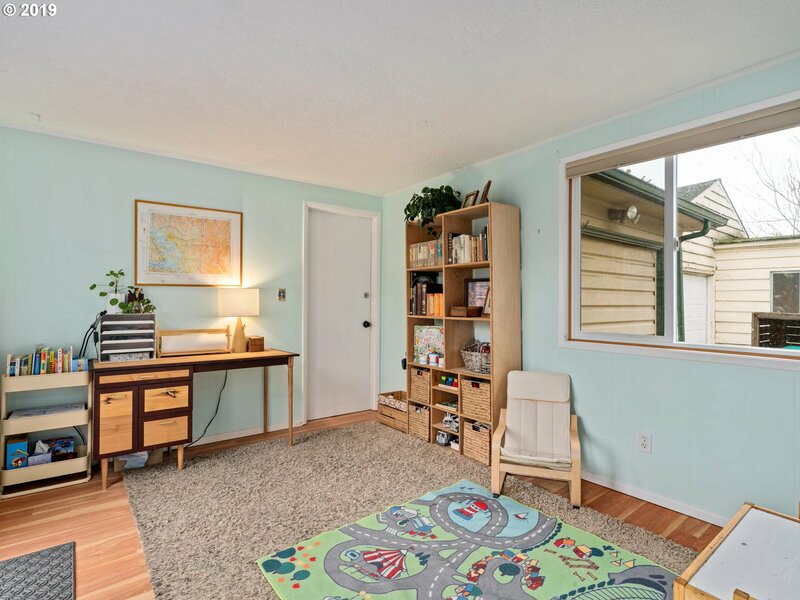 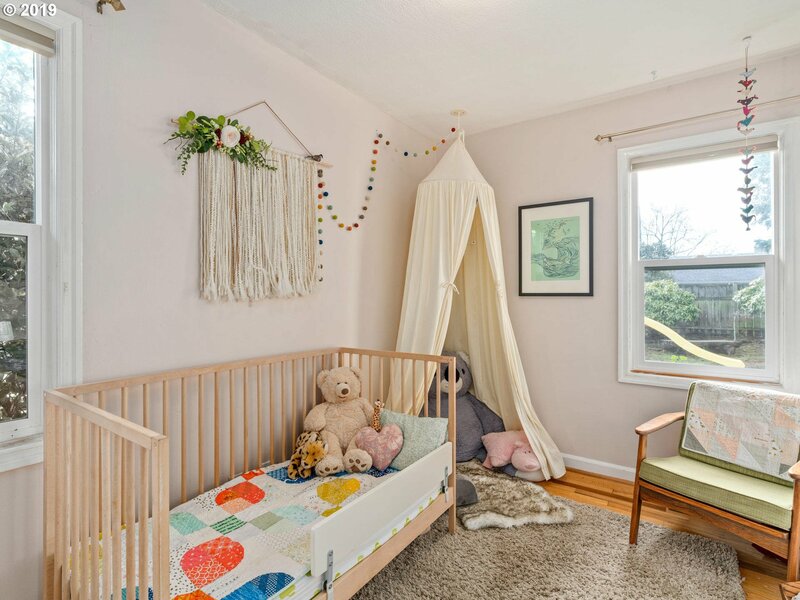 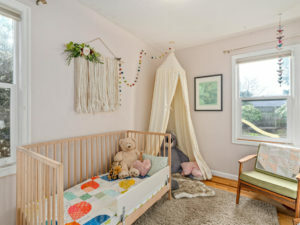 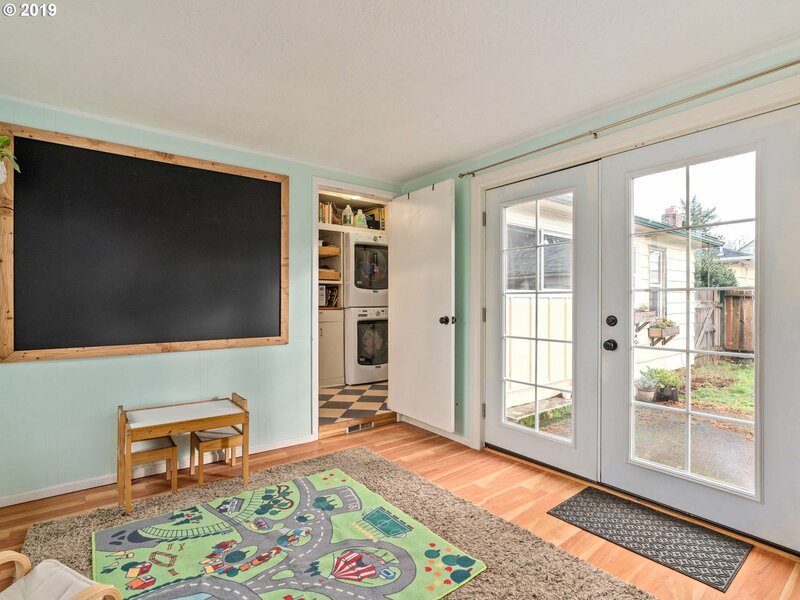 Hardwood floors, a new roof, an oversized lot, expansive garage and magazine-worthy tree house round out this amazing property just a mile from the Farmer’s Market, Academy Theater and countless neighborhood shops. 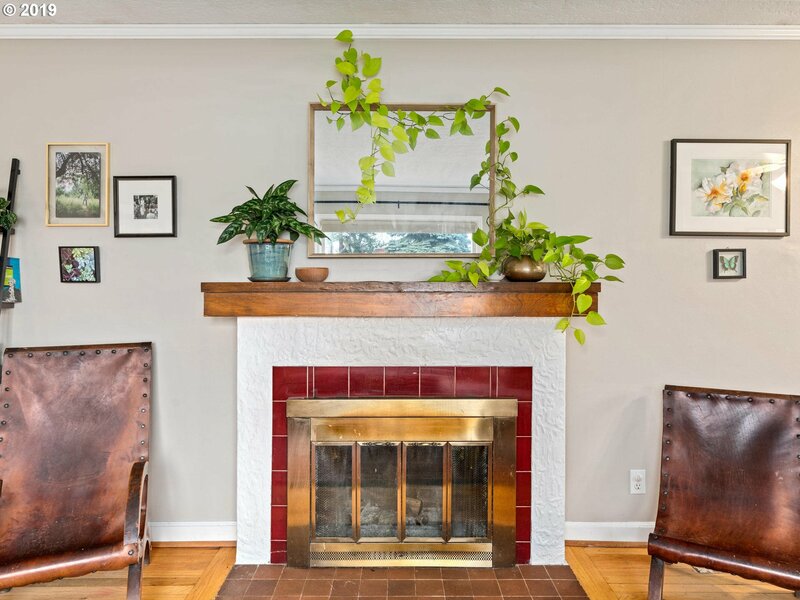 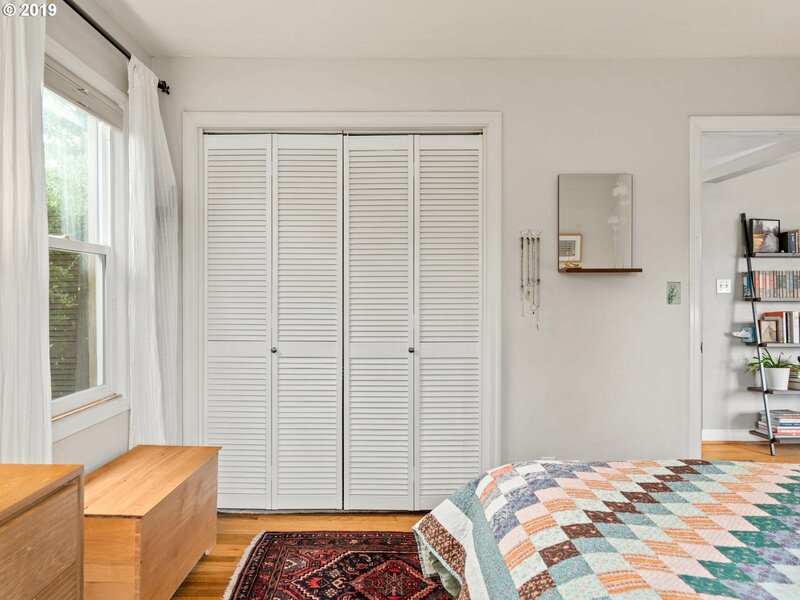 The juxtaposition of beautiful mid-century details coupled with careful stewardship and timeless updates make this a noteworthy Montavilla address you don’t want to miss!